Danielle Brooks attends "Spotify's Best New Artist Party" at Skylight Clarkson on January 25, 2018 in New York City. 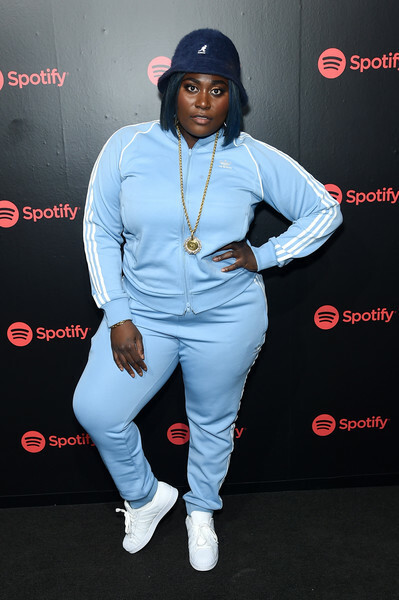 Danielle Brooks looked ready for a workout in her pastel-blue Adidas track jacket during Spotify's Best New Artist party. Danielle Brooks matched her jacket with a pair of track pants. Danielle Brooks completed her athletic look with a pair of white Adidas sneakers.